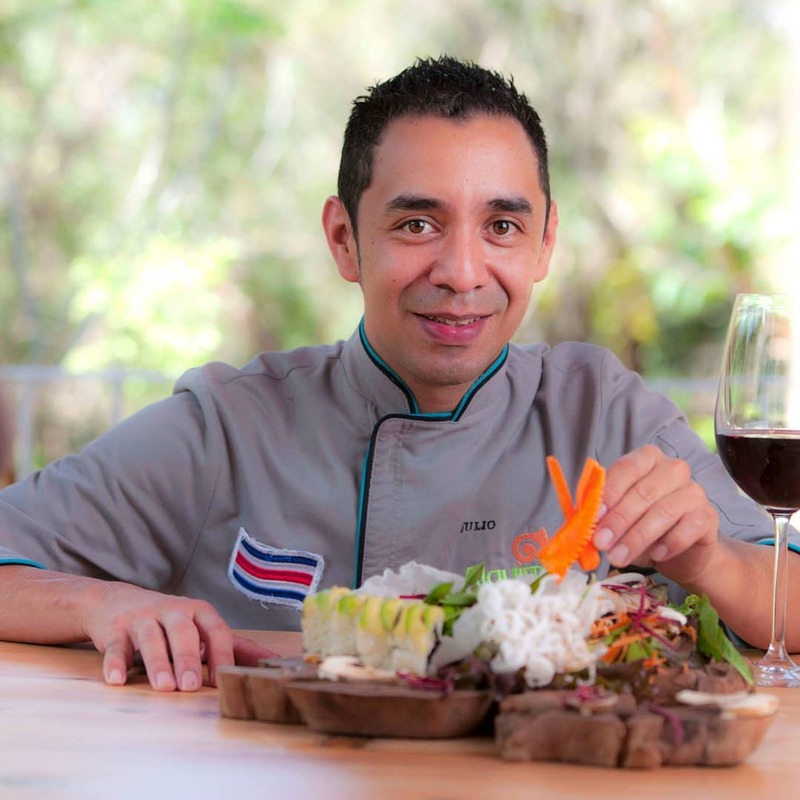 Julio has more than 15 years of experience in top-notch kitchens both in his native Costa Rica, as well as in Italy. Now, he says, "All my knowledge is aimed at restoring traditional cuisine to local natural products with a focus to food and health." Julio is also quite involved with the Slow Food movement. Apart from his restaurant experience, Julio has made and organized stands for fairs (cartago yoga festival, San Jose, Brhama Kumaris festival) and played a major role in the organization of the first Slow Food eco-gastronomic festival in Costa Rica. Julio speaks fluent Spanish, Italian, and English. He loves yoga, and enjoys sharing his culinary knowledge with others.